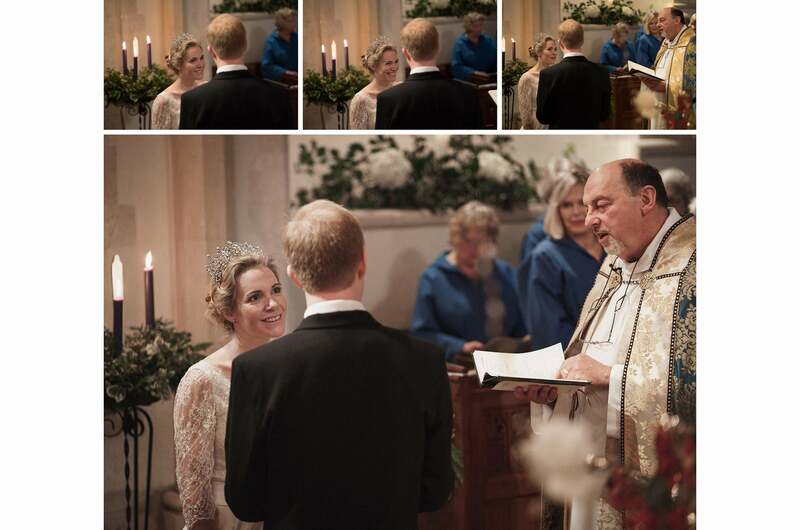 As a followup to his earlier article on the Sony α7S, UK-based documentary wedding photographer David Weightman writes in more depth about three of his favourite images, and explains the stories behind them, showing other images from the shoot to illustrate some of the benefits of the mirrorless system. The shot above was taken at one of my very favorite weddings of last year. It’s shot with the α7S and Sony Sonnar T* FE 35mm f/2.8 ZA lens at 1/320sec f2.8 and ISO 320. The couple wanted their portraits to take in the awesome coastal landscape (the wedding was near Brighton on the south coast of England.) 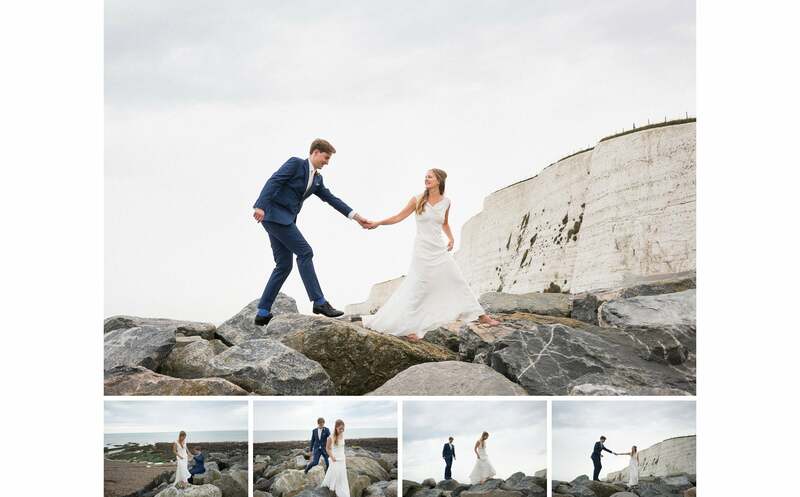 We’d already done some shots on the beach, but I encouraged the bride to kick off her shoes and climb onto the rocks with her husband, as I thought the texture and scale of the stone would contrast more dramatically with the serenity of the sea and sky. The small size and light weight of the a7S was particularly useful here, as I was able to clip the camera onto my belt as I climbed onto the rocks. On our way down I noticed the groom was struggling, so I hurried down to the beach in order to get a wider view. What I like so much about this unposed image (actually the fourth in the series of five shots) is the support that the bride is giving him, and I like to think of the rocks as a metaphor for what could possibly be uncertain times ahead when they will rely on each other. I also like how their body positions mirror one another and both front feet are off the ground in a way that references Henri Cartier-Bresson’s famous image. As a photographer who shoots mostly in a documentary style, one of the main reasons for purchasing the α7S was the high ISO performance that allows me to be more discrete by not having to resort to flash. The images above were shot with the Sony Sonnar T* FE 55mm f/1.8 ZA lens at 1/125sec f/1.8 and ISO 40,000. 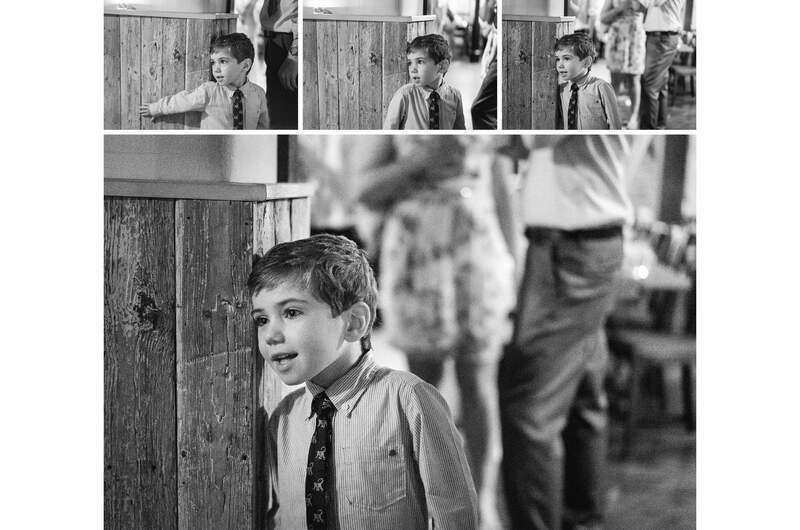 The boy was totally absorbed in watching the adult guests on the dance floor, but it’s unlikely that I would have been able to observe his changing expressions, adjust my composition and capture the number of shots that I did, had I fired a flash each time. I love the shallow depth of field provided by the f/1.8 aperture and full frame sensor, and the way that the ambient light brings out texture and form within the image. One of the other key features that attracted me to the α7S was the silent shutter mode which has given me the confidence to shoot much more freely during the ceremony. In this series of images from one of my final weddings of 2015, shot with the Zeiss Batis 85mm at 1/100sec f/2 and ISO 1250, I was able to keep shooting until I had a pleasing expression on the bride’s face, without the risk of drawing attention to myself or distracting the couple. The articulating screen and image stabilization in the Batis lens also proved to be invaluable on this occasion, as I was able to shoot from distance with the camera above my head.